The show brought this year’s Children’s Musical Theater camp to a crescendo as a room filled with parents, family members and friends enjoyed the summer production presented by the Bucks County Performing Arts Center and directed by Pennsbury elementary school vocal and music teacher Nancy VanDerBas. Open to students from 2nd through 8th grade, the camp introduces students to every aspect of musical theater from vocalization, acting and improvisation to dance and movement. Some also help behind the scenes with lighting, sets and sound. Considering the kids and their adult directors only had seven days to cast the show, learn lines, practice and rehearse major choreography numbers, the end result was nothing short of miraculous. As the kids took their bows, VanDerBas smiled broadly and joined the audience in applauding. 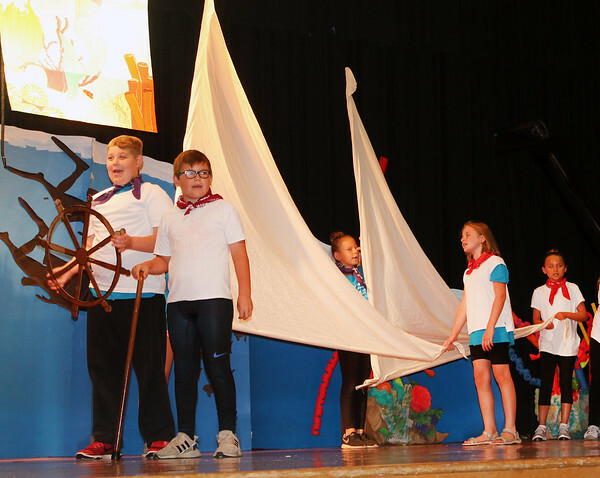 The best part, she said, is seeing the kids “shine on stage,” which they did on July 19 with a tidal wave of under the sea fun and mythical adventure. When she began the summer camp close to four decades, VanDerBas said her goal was to use the arts as a way of building team work and skills while acquainting youngsters with acting, singing and dance. “I wanted each student to feel accepted in the program at every level from beginners to advanced,” she said. “And We help each other with everything from learning the script, songs and dance movements to costumes and set design. “I also wanted a place for children to learn how to create, sing, dance, learn scripts, work with others as part of a team and gain confidence by performing on stage,” said VanDerBas. The end result is phenomenal each year, she said, and extremely satisfying as a teacher. Hundreds passed through the doors of the new building during a four hour open house designed to spotlight the new space and provide a sampling of the programs that will be offered inside its walls. The building’s all purpose room - the heart and soul of the new facility - and its auxiliary classrooms bustled with activities throughout the day as residents took self-guided tours, signed up for classes, took part in activities for the kids, including cupcake decorating, soccer skills and face painting, and learned about the township’s many organizations, including the Artists of Yardley, the Makefield Women’s Association, the Friends of the Lower Makefield Dog Park, and the Lower Makefield Historical Commission and Society. 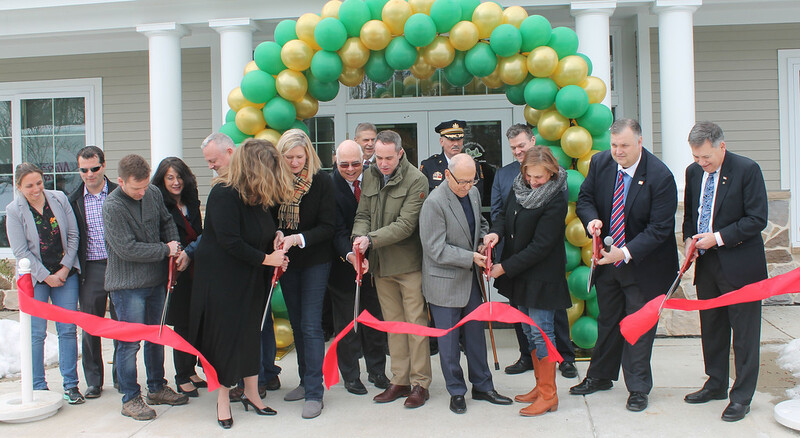 Just after noon, township officials and honored guests gathered in front of the new building on Oxford Valley Road to ceremoniously cut the ribbon on the new facility, which is home to the Lower Makefield Seniors and the township’s Parks and Recreation Department, both of which have relocated from the township building. 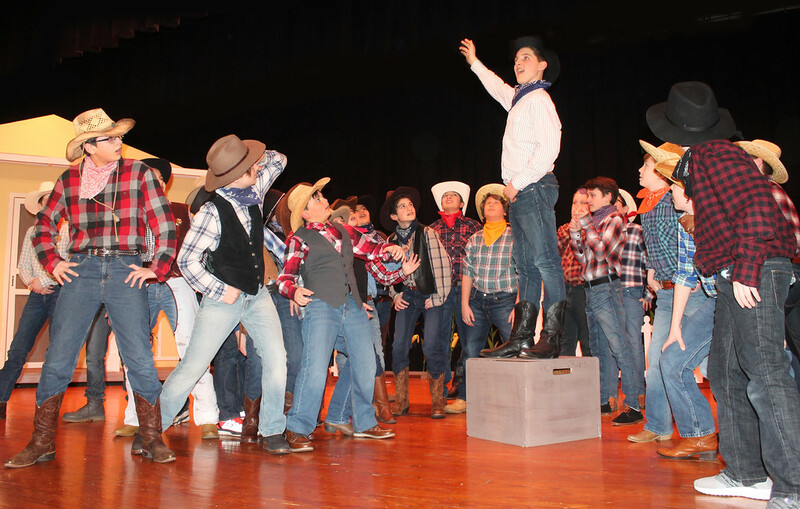 LOWER MAKEFIELD >> Celebrating its 75th Anniversary, the Tony Award winning musical comedy by Richard Rodgers and Oscar Hammerstein, “Oklahoma!,” written right here in Bucks County, is coming to the Pennwood Middle School stage on March 9-10. This high-spirited look back at the story of farm girl, Miss Laurey Williams, depicts how her tangle with two rival suitors, handsome cowboy Curly McClain, and brooding farmhand, Jud Fry, shakes up the territory. More than 100 Pennwood rising stars and countless volunteer friends and families have contributed time, skills and creativity to present the classic story starring Carissa Salzano as Miss Laurey Williams, Ryan Torres as Curly McLain, Elise Carey as Ado Annie Carnes, Jacob Rea as Will Parker, Vanessa Nolan as Aunt Eller Murphy, Drew Matheson as Ali Hakim, Madison Russell as Agnes Carnes, Avery Mackey as Jud Fry, Lily Erdogan as Gertie Cummins, a large, talented, energetic Chorus, and a dramatic dream ballet performed by Abby Moser. 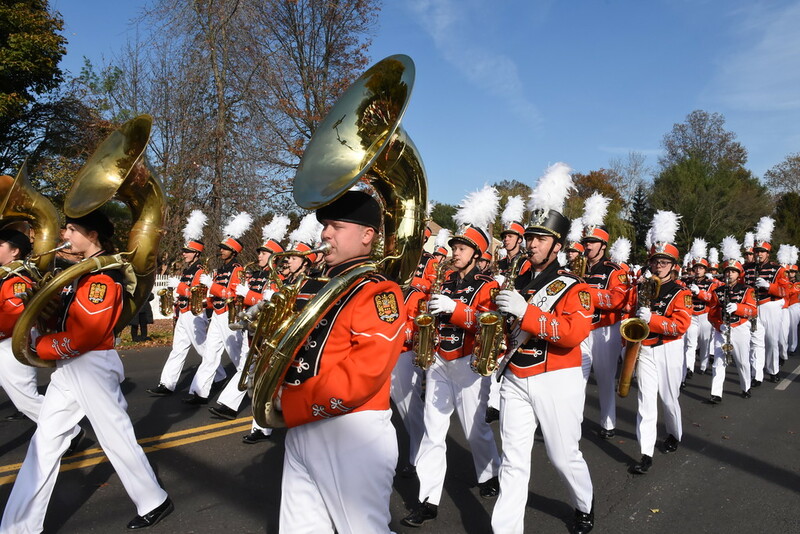 PENNSBURY >> The Pennsbury High School Marching Band will trumpet in the New Year by marching in one of the premier parades in the world. On January 1, everything will be coming up roses for “The Long Orange Line” as the band performs in the nationally-televised Tournament of Roses Parade in Pasadena, California. According to Pennsbury Band director Frank Mazzeo, extensive hours of logistical work, musical rehearsals, development planning, fundraising and safety precautions have gone into the preparations for the trip. ”On December 19 we packed the equipment and the students were incrdeibly excited - lots of smiles and expectations,” he said. Out of hundreds that applied, Pennsbury is one of 16 bands appearing in this year’s parade. The bands are selected based on musicianship, marching ability, uniqueness and entertainment value, said Mazzeo. Geographic diversity is also considered, he said. In addition, bands from around the world are invited. This year’s international musicians hail from Japan, Australia, Panama and Canada. Along the parade route, the Falcon band will be performing two patriotic Sousa Marches - “The Thunderer” and “El Capitan” - both originals by John Phillip Sousa. In addition, the band, unofficially known as “The Mickey Mouse Band” having traveled to and performed in all five Disney parks around the world, will be performing a Disney medley. While in California, the Pennsbury Marching Band also will participate in the Tournament of Roses Bandfest at Pasadena City College where they will perform this year’s field show, “At the End of the Rainbow,” march in the Disneyland Parade and participate in an instrumental soundtrack session at the Disney Performing Arts Workshop. In addition, the Pennsbury Concert Jazz Band will perform in a private concert at the Catalina Jazz Club with Tom Scott, a renowned composer, arranger, producer, musical director and saxophonist with three Grammys and 14 Grammy nominations. 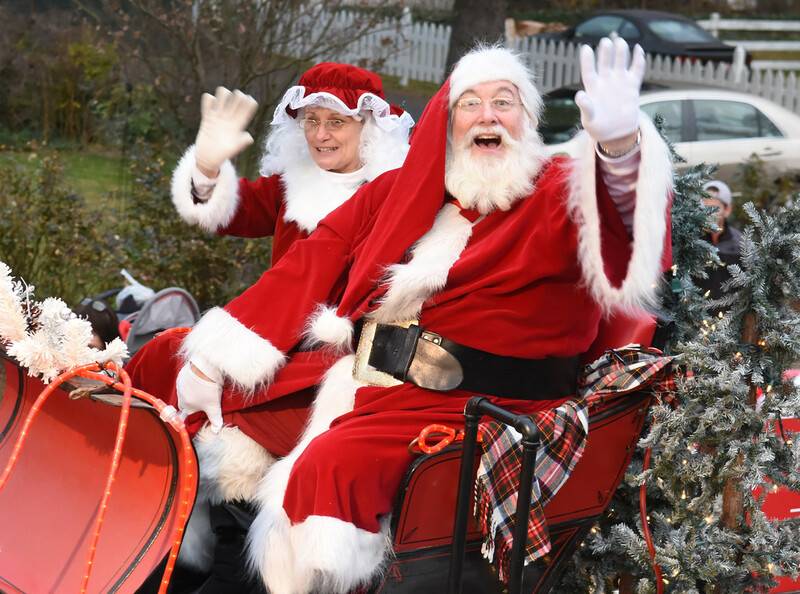 Thousands jammed the streets of downtown Yardley Saturday afternoon to welcome the season with an Olde-fashioned Christmas parade. With the smell of popcorn wafting through the air and people jamming the sidewalks, the young and old shouted and cheered as this year’s Olde-Fashioned Christmas Parade presented by McCaffrey’s Market and the Yardley Borough Business Association marched through town The march included all the elements of a Bucks County Christmas, from the religious - a nativity scene presented by the Knights of Columbus - to a giant Durham Boat that will be used to ferry George Washington and his troops across the Delaware River during the annual Christmas Day re-enactment of the Crossing of the Delaware. 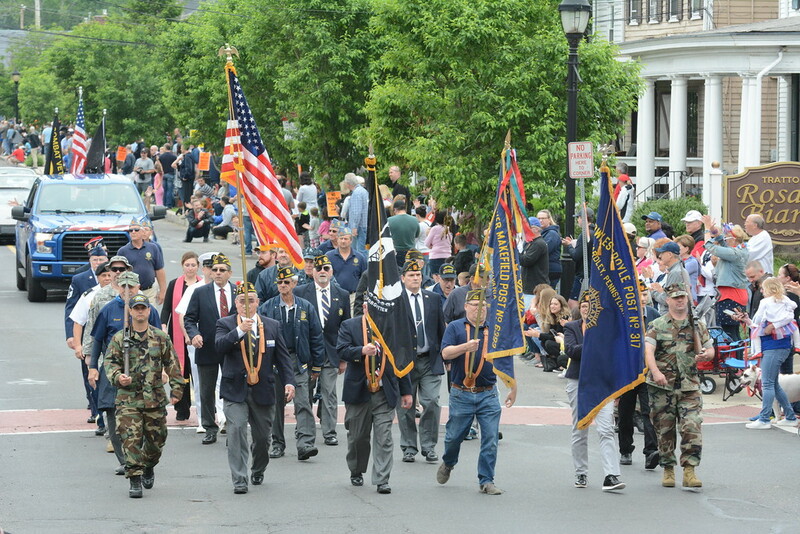 Leading the parade and receiving loud applause were veterans from VFW Post 6393 and American Legion Post 317 who escorted the American flag through town, along with the POW/MIA flag and their post colors. Youngsters jumped up and down with excitement as a group of movie heroes and cartoon characters came into view. 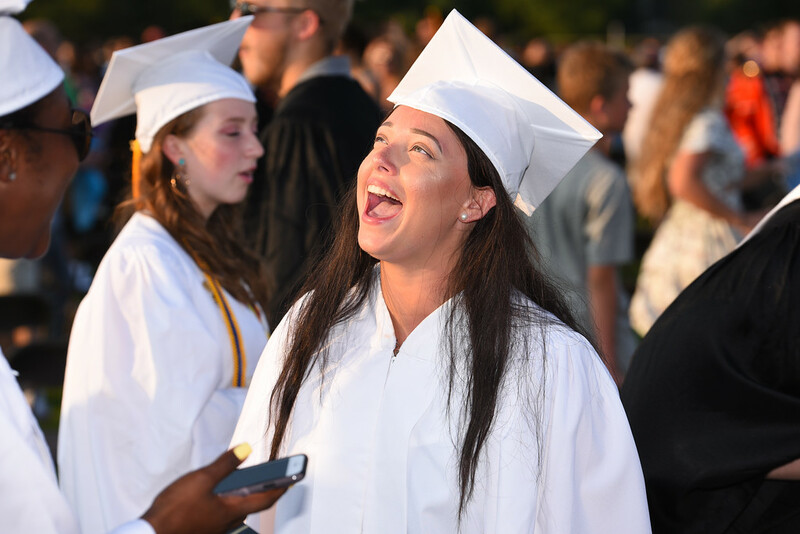 The newest class of Falcons took flight on Monday, soaring into the future on the parting words of their classmates and administrators. 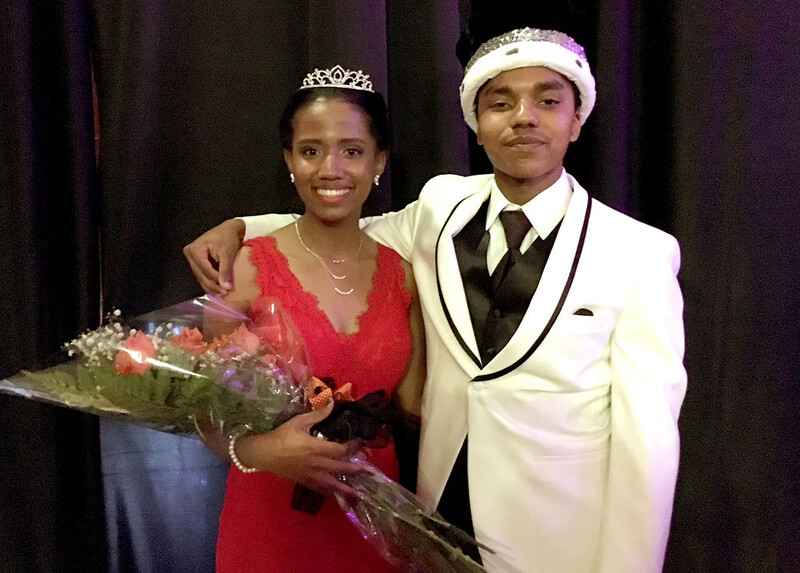 From a giant Jumbotron streaming live scenes of the Prom to A-List entertainers Questlove and DJ Pauly D, Pennsbury lived up to its reputation for putting on “The Best Prom in America” Saturday night. 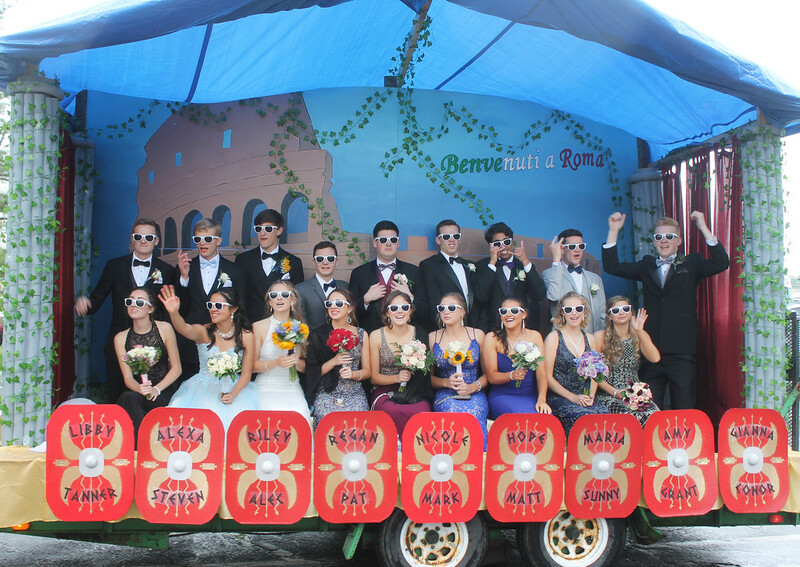 This year’s senior dance had it all - and then some. The evening began with a parade featuring more than 50 floats and vehicles celebrating this year’ Proms theme, “Yo Philly.” Couples rode aboard floats celebrating West Philly, the Philadelphia Art Museum, the Franklin Institute, South Street, the Magic Garden and even the Philadelphia International Airport, the Philadelphia Mint and the Christmas Village. Floats also celebrated the world-renowned Philadelphia Flower Show, the Channel 6 Dunkin’ Donuts Thanksgiving Day Parade, Eastern State Penitentiary, the Chinese Lantern Festival, Spruce Street Harbor Park, the Philadelphia Zoo and many others. But the best was yet to come. Once inside the school, the seniors were immediately immersed in halls and rooms transformed by hundreds of volunteers into a tribute to the City of Brotherly Love. 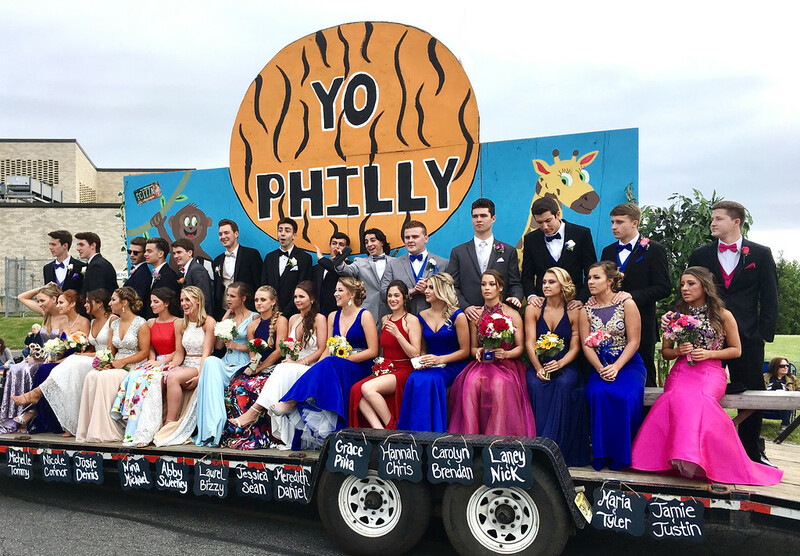 Three-D effects like the rotating LOVE/PROM sculpture and the giant Jumbotron inside the gym broadcasting live shots of the Prom and clips of Philly made for a memorable night. Earlier in the day, the community was invited inside the decorated high school to view the multi-room, three-dimensional, jaw-dropping tribute to the history, landmarks, sports teams, food and special events that make Philadelphia such a beloved destination.